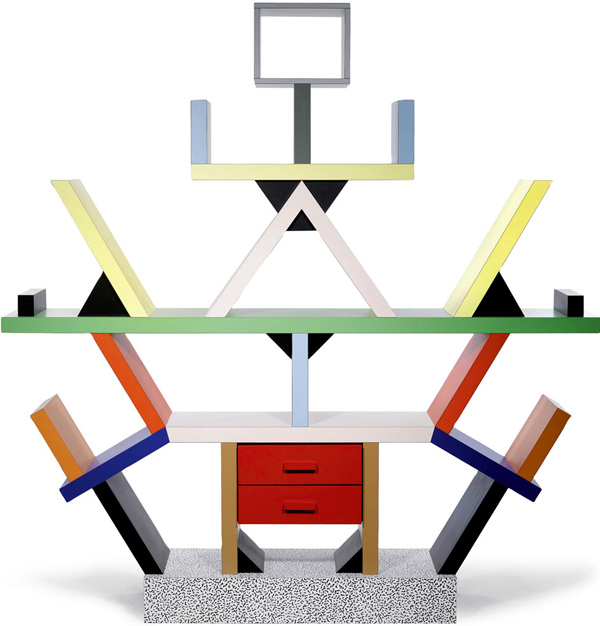 The Memphis Milano Group was founded in 1980 by a group of designers led by famed Italian architect and designer Ettore Sottsass. The Memphis Milano Collection of furniture drew inspiration from Art Deco and Pop Art. The cabinets represented here are brightly-coloured and their unconventional shapes disregard the conventional function.